The aircraft in the Ethiopian Airlines disaster, the Boeing 737 Max 8, is a new model that is now the focus of intense scrutiny by aviation safety authorities after two crashes in five months. The Ethiopian Airlines plane carrying 149 passengers and eight crew crashed on Sunday shortly after takeoff from Addis Ababa Bole International Airport on Flight ET302 bound for Nairobi. Ethiopian Airlines said it will be gathering information to help with the investigation in collaboration with aircraft manufacturer Boeing Co., the Ethiopian Civil Aviation Authority and an array of international safety entities in the airline sector. In October, 189 people died when a 737 Max 8 flown by Lion Air dived into the Java Sea soon after taking off from Jakarta on a short-haul flight. The Aviation Safety Network, a website that tracks plane crashes, said the 737 Max 8 in Sunday’s disaster was first flown in late October, while the Lion Air plane saw its first flight in July, 2018. Air Canada currently has 24 Boeing 737 Max 8s in its fleet, while WestJet Airlines Ltd. flies 13 of the planes and Sunwing Airlines has four, according to civil aircraft registrations in Canada. Air Canada said it has operated the aircraft type since 2017, and hasn’t encountered any major issues. “These aircraft have performed excellently from a … reliability as well as from a safety perspective, and we continue to operate this aircraft as per our schedule,” the Montreal-based carrier said in a statement. Both Air Canada and WestJet expressed their condolences to family and friends affected by Sunday’s tragedy in Ethiopia. “We are monitoring the situation closely and will not speculate on the cause of the incident,” WestJet added. On Sunday night, Boeing said it is cancelling the debut event of a new 777X aircraft that was set for March 13 in light of the crash. The Civil Aviation Administration of China, China’s aviation regulator, ordered domestic airlines to suspend their use of Boeing 737 Max aircraft, Chinese state media reported. 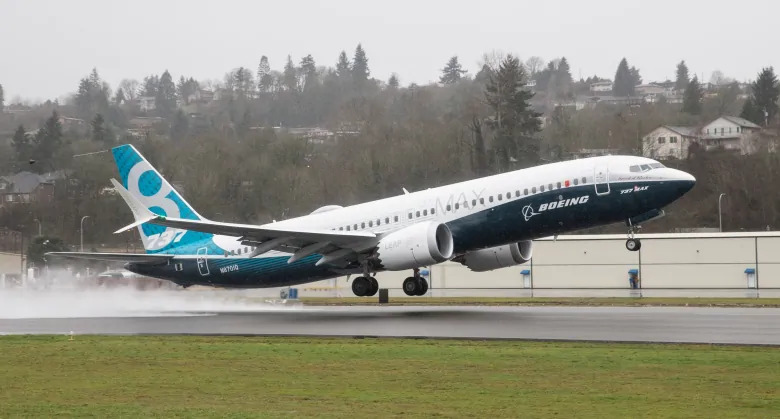 Driven by orders from Air Canada, WestJet and other carriers, the Boeing 737 Max is the fastest-selling aircraft in Boeing’s history, Boeing said, with more than 5,000 orders from some 100 customers. The narrow-body 737 model has flown since 1967, updated several times. The Max 8 version, assembled at Boeing’s plant in Renton, Wash., can fly further, using less fuel than its predecessors. The two-engine, single-aisle plane carries as many as 210 passengers, depending on the seat configuration. In the Lion Air crash on Oct. 29, a preliminary report from Indonesian investigators found there were several technical problems recorded in the plane’s maintenance log in the days before the fatal crash. Airspeed and altitude displays contained errors, and a sensor that measures the wing angle was replaced a day before. In the flight before the crash, the crew reported that instrument failures caused control problems. On the Indonesian flight, the plane’s automatic anti-stalling feature repeatedly pushed down the plane’s nose and forced the pilots to correct the move manually. Shortly before radio contact with the plane was lost, the crew reported they could not read the plane’s altitude. Air Canada added 18 of the 737 Max 8s to its fleet in 2018 and will take delivery of another 18 in 2019, according to company documents. By 2021, Air Canada will fly 50 of the 737 Max 8s, forming one-third of its narrow-body fleet. Air Canada has deployed the 737 Max 8 as a replacement for the Airbus A320, reducing operating costs. Canada’s largest carrier uses the plane on routes such as Vancouver-Calgary and longer domestic flights such as Vancouver-Montreal, as well as transborder trips into the United States. The Max 8 is also available for overseas flights such as those between Atlantic Canada and London. In December, an Air Canada 737 Max 8 bound for Hawaii was forced to return to Vancouver owing to mechanical problems. Why Is Lady Gaga Shopping For A Wedding Dress? Melissa Gorga Another Fake New Jersey Housewife! How Does Matt Lauer Feel About Giada De Laurentiis’s Divorce?